Established in 1730 as Narragansett Number 5 for the benefit of soldiers who fought against the Narragansett Indians in Rhode Island. It was regranted first as Souhegan East, then as Bedford in 1750. Bedford, New Hampshire was named for Lord John Russell, fourth Duke of Bedford, a close friend of Governor Benning Wentworth. 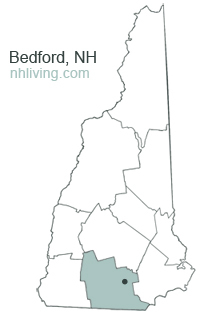 Bedford is a located just west of Manchester, New Hampshire and the Merrimack River. 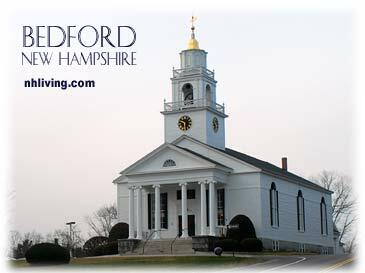 To share any Bedford, NH information with us, please contact us. Learn more about advertising in NHLiving.